Today’s board member: Dr. Mark Lucas! What defines me? I guess I can be best defined as a physicist who likes to play and help out others. I was trained as a nuclear physics experimentalist, and after 4 years at Brookhaven National Lab, found myself in a teaching position at Ohio University. 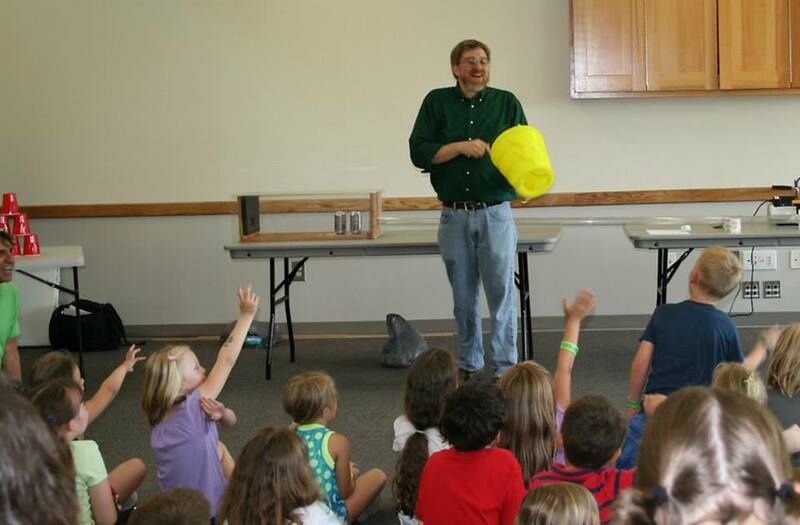 Over the last 20 years I have coordinated one of the introductory physics sequence and have also run a variety of outreach programs, both formal and informal, for the Department of Physics and Astronomy. When I heard about the museum, I beginning helping with small things here or there. I collaboratedwith the Gravity exhibit that travelled to some of the libraries. While at the mall I helped with severalprograms early on. In the meantime, I had begun an informal summer outreach program calledAthensmakers that would meet on campus during the summer to explore lots of different aspects ofScience and Technology. 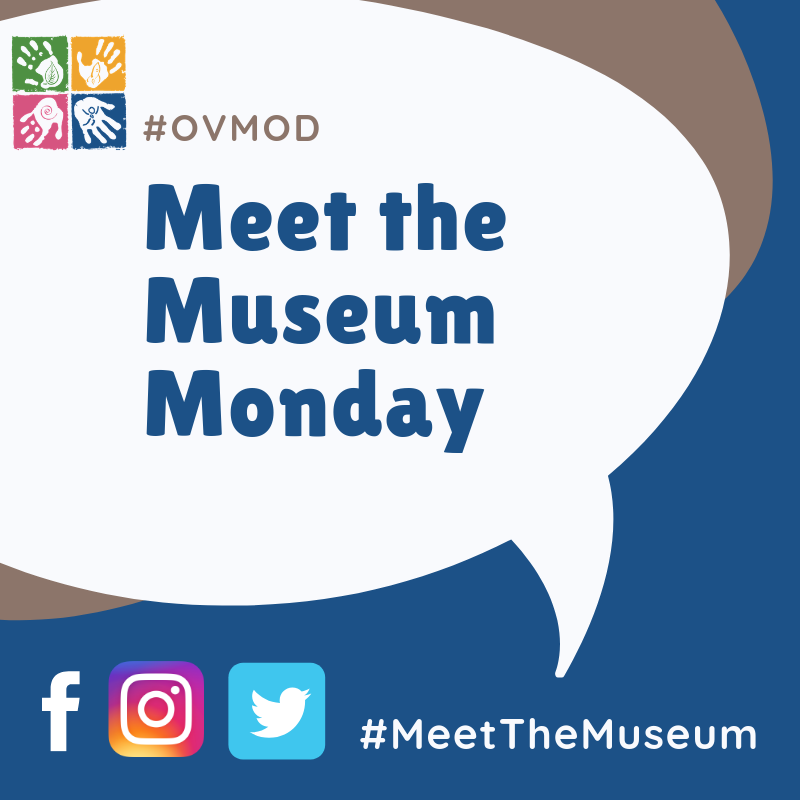 When asked to be on the board several years ago, I felt that I had enoughexperience with the museum that I felt I could contribute, particularly in programming for middleand high school students. I’m afraid there are a couple. The Castle exhibit was a lot of fun. I got to meet Tom Fiocchi and see some of his amazing armory work. We brought in some of our young fencers from the Community Center to do a fencing demonstration, and the catapult day was a great time. The ACE exhibit: The Art of Construction and Experimentation, was also a favorite just for the sheer breadth of programs and activities that could be tied into it (constructing as in engineering, language, math or the arts; experimenting with science). It was an exemplary STEAM-based exhibit with lots of hands-on discovery. You name it – anyplace I can explore and discover new things. The Air and Space Museum at Wright Patterson was a favorite growing up (our scout troop would head down every other year). I really enjoyed the week our family spent in Ottawa with one museum a day for a week. Up until recently a lot of the time was spent doing things with my two sons: Video games, electronics and programming, fencing, singing in the praise band at church. There is always a backlog of house projects waiting to be done. I also enjoy reading fiction. Both the beautiful outdoors and the wide range of interesting people in the area. Though it’s intimidating at times, I like a town where a lot of people know each other. Something unexpected or unusual. An unusual demonstration or experiment. I’d have to say my dad. He is a retired Health Physicist who moved from NE Ohio out to Oklahoma. He grew up in the Depression where if you wanted something, you made it. If it broke, you fixed it. He and I entered the world of microcomputers together in 1978with the Commodore PET (one for work, one for home). Some of the same detectors I saw at Harshaw (the company my dad worked for) later crossed my path at the Nuclear Physics Lab at the University of Illinois and at Brookhaven. In his retirement, he has been having a blast as an adjunct research professor working with a fellow at Oklahoma State. His recent fun has been a radiation detector for the International Space Station. At 87 he still heads out to his two backyard telescope domes and is in at the lab helping grad students learn what it’s like to really build things. I think physicist was always up there on the list. Spring – not too hot, not too cold, a time of new beginnings. Some day I hope to make it out to the Exploratorium in San Francisco, the Mecca of discovery museums. I look forward to having our physical space all set up in the new building, but even more I look forward to getting to know and spending time with the ever-growing community of fellow ‘discoverers’, both young and old, that have been enjoying and supporting the museum and its programs. Thanks for all your help at OVMoD, Dr. Lucas!